The United States has expressed concern about the state of human rights in Turkey and called for the country’s state of emergency to come to an end at the Organisation for Security and Co-operation in Europe in Vienna. Turkey's state of emergency was put in place after a failed coup attempt in July 2016, and since that time over 150 media outlets have been shut down, some 50,000 arrested and 150,000 people sacked or suspended from their jobs. The Turkish government suspects U.S. involvement in the attempt, and has named the U.S.-based exile preacher Fethullah Gülen as its number one suspect. “The United States joins the European Union and other delegations in expressing deep concern about the deteriorating state of human rights in Turkey, in particular the government of Turkey’s continuing efforts to restrict dissent,” U.S. Chargé d’Affaires Michele M. Siders to the OSCE said in a U.S. statement. “The United States calls on the Turkish government to end the protracted state of emergency, release those detained arbitrarily under emergency authorities, and take concrete steps to safeguard the rule of law, consistent with Turkey’s own domestic and international obligations and commitments,” the statement said. 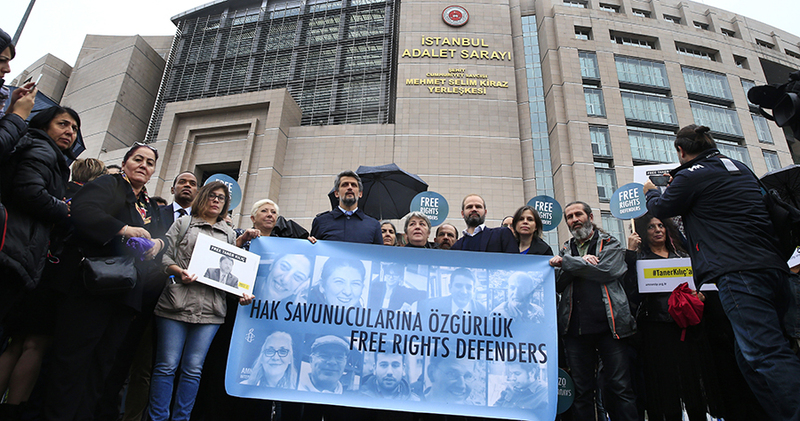 Siders raised the particular example of the continuing detention of Amnesty International Turkey Chairman Taner Kılıç, which she said brought the fairness of the Turkish judiciary into question. “We firmly believe that freedom of expression, including for members of the media, strengthens democracy and must be protected, particularly in difficult times,” she said. We join others in expressing deep concern about the deteriorating state of human rights in Turkey, in particular the Government of Turkey’s continuing efforts to restrict dissent.